The problem confronting many company managements today in deciding what course to follow in applying the new techniques of automation and data processing is similar to the problem faced in recent years by the leaders of our military organizations in arranging for efficient application of the same powerful tools of electronics to the art of war. At Ramo-Wooldridge the difficult demands of major military systems responsibility have been met successfully by the placing of heavy dependence upon teams of unusually well-qualified, mature and experienced scientists, operational procedures experts, and engineers. These teams deal with the technical and non-technical portions of a project as inseparable and interrelated aspects of a single problem. One important advantage to the client of such a broad and objective approach to his problems is the possibility of recommendations that realistic operational needs can be met without the necessity for investment in any additional machines or equipment. 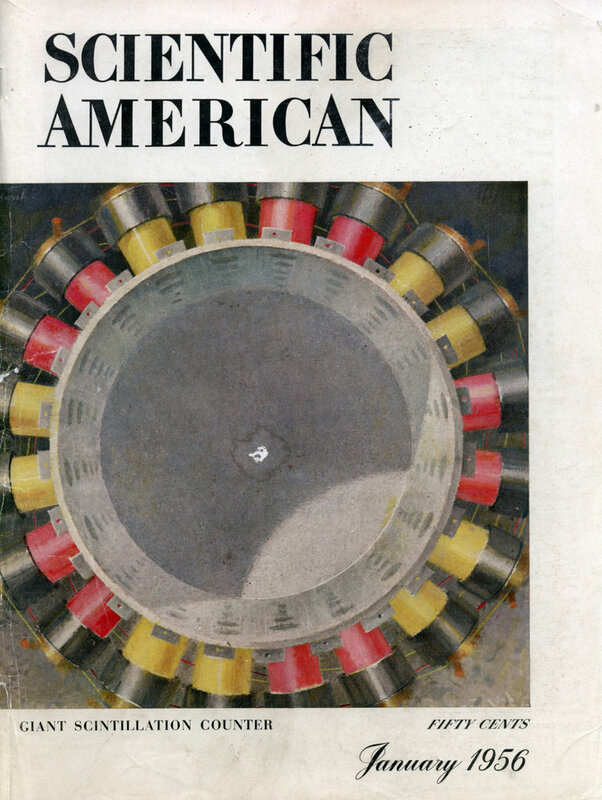 Nevertheless, the technical strength of The Ramo-Wooldridge Corporation, provided by its hundreds of scientists and engineers, is such that it can also undertake successfully the development of entirely new equipment and techniques, if required. As an example, major programs are currently under way on the development of an advanced type of digital computer and control system, and on the automation of large-scale data processing activities. To a surprisingly great extent, military electronics experience has charted the course for non-military automation. 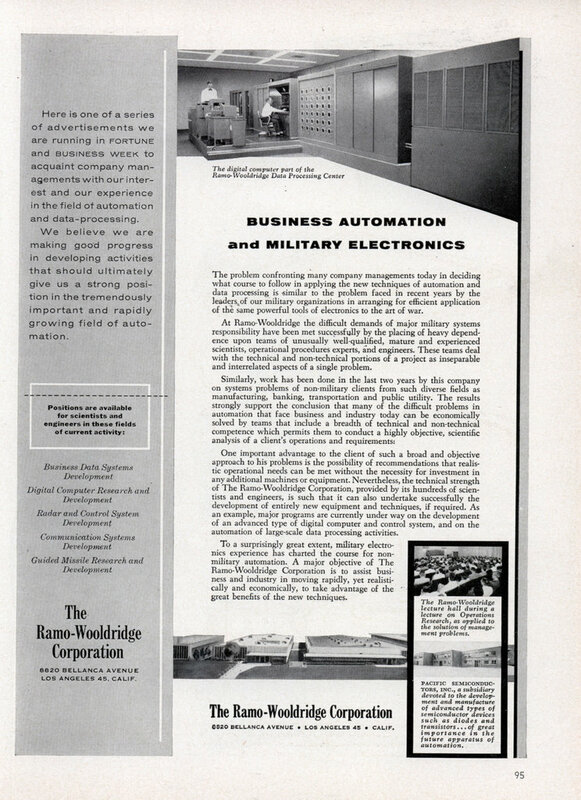 A major objective of The Ramo-Wooldridge Corporation is to assist business and industry in moving rapidly, yet realistically and economically, to take advantage of the great benefits of the new techniques. 6820 BELLANCA AVENUE â€¢ LOS ANGELES 45 â€¢ CALIF.
After they merged with Thompson, they became the company we know as TRW. Bellanca Avenue, by the way, is right near Los Angeles International airport. Named, no doubt, for Giuseppe Mario Bellanca, aircraft builder. Ramo was actually a very interesting scientist.